This floral ring is perfect for ringing in spring. 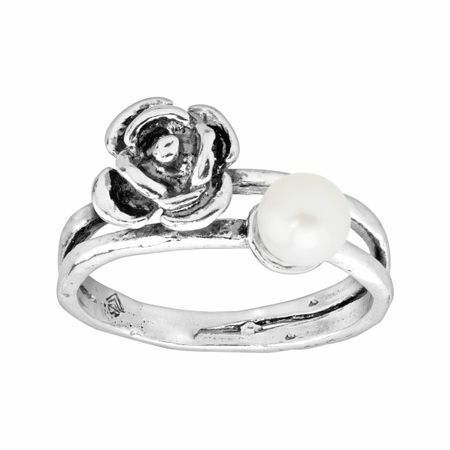 A freshwater pearl is stationed next to a stylized flower atop this double-band ring, crafted in quality sterling silver. Ring face measures 5/16 inches in width.